Off the coast of Massachusetts, on the history-filled island of Martha’s Vineyard, tourists may soon find themselves journeying into the future on a bus that is wirelessly charged by microgrids. The microgrids are part of the Vineyard Transit Authority’s larger clean energy transportation plan, now being put in place with electric buses, wireless chargers, energy storage, solar and demand management. The microgrid element of the plan comes into play in a couple of different ways. First, the authority is developing a microgrid at its maintenance and operations center in Edgartown. The microgrid will use energy storage connected to a new 700-kW DC solar installation, electric vehicle charging stations, and a diesel generator. 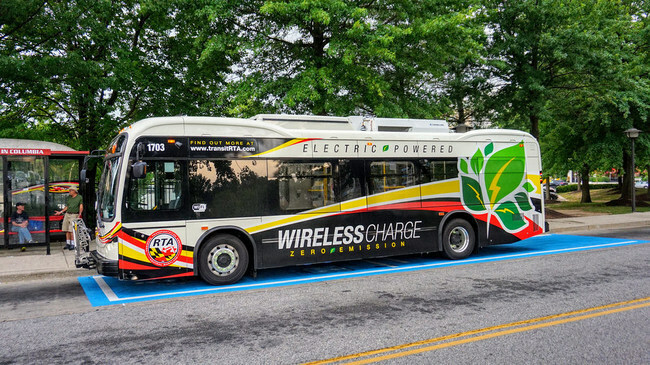 Second, as the authority transitions to a fully electric bus fleet, it plans to add in-route charging sites that will operate as smaller, independent microgrids that use energy storage. The authority is converting 10 diesel-powered buses to electric. The transit authority recently chose Momentum Dynamics to provide wireless electric vehicle (EV) chargers for buses that operate on a route in the town of Edgartown, said Andrew Daga, CEO of Momentum Dynamics. Momentum Dynamics will provide 200-kW wireless chargers for the electric buses in time for the island’s 2019 tourist season. The company may also provide additional energy storage batteries, located along the bus route, in addition to the 250-500 kWh storage batteries that power the EV chargers. The additional batteries would absorb excess power from on-site solar. Daga said this is one project in a new trend. Load leveling would be helpful to the transit authority. Right now, there’s not enough energy available on the island to charge all the electric buses at the same time, said Daga. To solve the problem, Momentum Dynamics will charge the VTA’s electric buses for short periods at different times. That means the software system will ensure the buses take turns charging, and each bus will be charged numerous times throughout the day, charging partially at each stop. With the wireless chargers, all this can happen automatically. “This is fully automated; there’s no human interaction. You do a partial state of charge, keeping the vehicle at 20 to 80 percent charged. You may pick up 50 to 100 miles of driving range with each charge,” Daga said. The buses all run on a microgrid segment of the grid that can be isolated from the main grid, he said. Therefore, if the grid goes down, the buses can run independently from the grid. Intelligent energy management software programs charge the buses. The systems can decide which buses should be charged at which times, and can decide how much they need to be charged. This type of project reflects what we’ll see as the transportation industry evolves, Daga said. “The new world will be basically one in which intelligent devices decide if and when power should be pulled from the grid,” he said. In this case, the software monitors demand on the grid. If grid demand is high, the buses can be charged by the microgrids that run along the route. In this case, the intelligent devices control the wireless chargers powered by storage. The wireless systems are basically invisible. They don’t require charging cables or charging ports in the vehicles. The users, whether they’re bus drivers or EV owners, won’t have to struggle with charging pin misalignment issues, or multiple industry standards. With wireless charging, EVs are charged by batteries located on the ground, and there’s no physical connection between the chargers and the vehicles. “We use a magnetic field to transfer energy from an air gap to the vehicle,” Daga said. A software system allows the vehicle to pair with the charger, in a similar way that bluetooth phones operate. It pairs and once connected, the vehicle and charger stay connected and if the vehicle moves away and comes back, the vehicle and wireless charger recognize each other. The EV doesn’t “sense” that this process is any different than a more traditional plug-in charger, he said. One battery on the ground charges one battery in a vehicle. “It can be isolated from the grid. We can switch from an open connection to the grid to being isolated from the grid,” Daga explained. 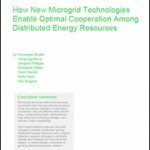 In the future, it’s possible the microgrids will be used by communities during emergencies. “We have all the ingredients necessary — including incoming power — to charge batteries and locate them where people have access to them,” said Daga. He believes that his company’s chargers, coupled with batteries, would work well providing emergency power in retail locations where people could gather, he said. He also believes that’s the best place for the company’s chargers. The high-power inductive bus charging system on Martha’s Vineyard will be the third installation in North America to operate at over 200 kW. Momentum Dynamics has installations in Europe, as well as the US. The company has “co-located” batteries to help absorb excess renewable energy in Europe, he said. The projects are mostly taxi and bus projects. Track news about microgrids and EV charging by subscribing to the free Microgrid Knowledge newsletter.